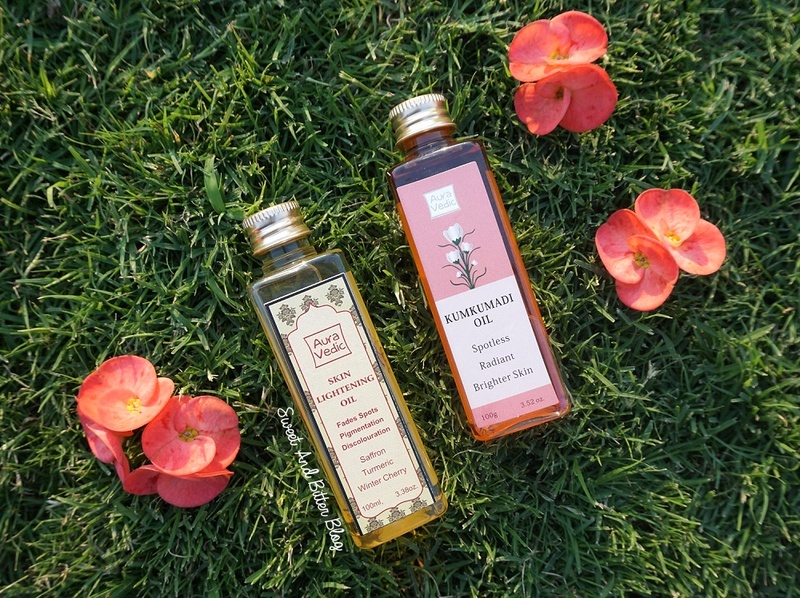 What if I tell you that you can get 100ml Kumkumadi Oil for just Rs 250? Shocked? Even I could not believe it when I first saw the price tag. In fact, all the products of the brand are reasonably priced. Let me introduce to the Auravedic. Kumkumadi Oil (Rs 250 for 100ml): I had to try this. The oil is lighter than most Kumkumadi Oils I have tried. 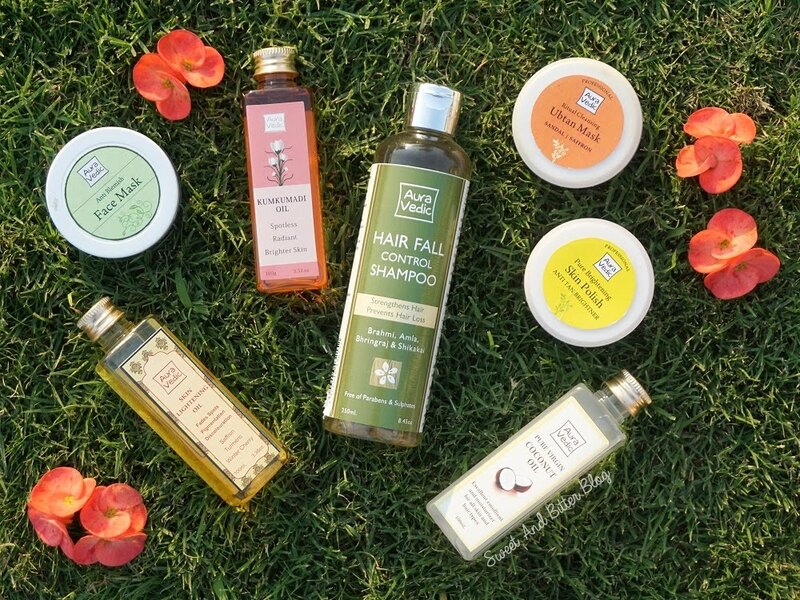 Hair Fall Shampoo (Rs 250 for 250ml): I am concerned with hair fall (touch wood and thanks to Japakusum). Also, I do not think shampoo can help with hair fall. Maybe it is just named that way. I got it because I do wish to try new chemical free shampoo. Used it twice and found it good. Let's see how it fairs in the long run. Skin Lightening Oil (Rs 250 for 100ml): Another product for which I am not concerned with the name. Just for the record - it smells sweet but not artificial sugary sweet. Something like sweet berry type fragrance. 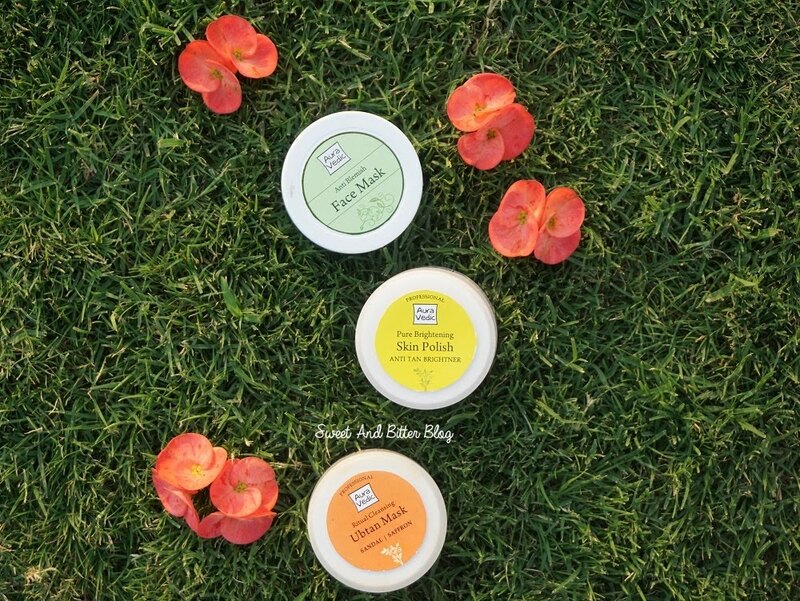 Anti-Blemish Face Mask (Rs 200 for 50ml): Thick and fluffy face mask. I love this one. Need to check its effectiveness. Ritual Cleansing Ubtan Mask with Sandal and Saffron (Rs 150 for 50ml): I have used it as a facial cleanser and as face pack with honey. Loved how it cleansed my skin. Pure Brightening Skin Polish (Rs 120 for 50ml): It has tiny granules which works well for mild exfoliation. It has an orange/citrus fragrance. Coconut Oil (Rs 150 for 100ml): Yet to use. Have you tried Auravedic products? Any other natural brands that you stumbled upon recently? Anything from above that caught your attention?